There was a bit of press lately about a woman spending $8,000 trying to change her child’s surname. We see ‘name change cases’ pretty often. Most commonly it’s one parent, often the child’s mother, trying to change the child’s surname to either her surname or to be hyphenated. Other times the child is initially registered with the mother’s name and subsequently the father seeks to have his name added or substituted. For my part, my wife is expecting our first child in April 2017. We’re very excited. We have lots of names we both like for a girl, but we are in a bit of trouble if we have a boy. Because we’re both lawyers we make funny lawyer jokes along the lines of taking the other to court to seek orders that our child be known by the name we like. And we’d also seek costs. It’s pretty hilarious really. Anyway that got me wondering if that’s ever happened before so I researched it so I’m prepared in case my wife gets her application listed urgently. Firstly there are heaps of laws that apply even if we agree. The Registrar of Births, Deaths & Marriages can refuse to register a name if it’s obscene, offensive, too long, has symbols (no question marks, there goes my first option), contrary to public interest, or has an official title like Lady or King. That was pretty helpful because it ruled out a lot of my wife’s nominated options. Assuming we couldn’t agree, though, the court would determine our child’s name based on an assessment of what was in the child’s best interests. First point about this is the Court has no power to make any parenting order until the child is born, so there’s an awkward period when I guess it has no name. Unless there are unusual circumstances, both parents have to sign the birth certificate. So if we couldn’t agree there’d be no birth certificate and one of us would have to head to Court. the likely effect (if any) on the child of the name change. I can’t find a case involving a brand new or unborn child and a dispute about a first name. but I reckon it would be pretty tricky. 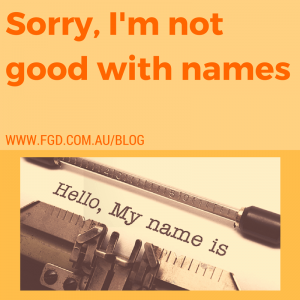 Most of the cases seeking to change an existing first name have failed but what if there was no existing first name? Neither parent has any ascendancy over the other. There’s no existing attachment to a current name. I think if one side had an argument about ‘this was my grandmother’s name’ or similar that might carry some favour or be given some weight. Otherwise it might just come down to which name the Judge preferred. In which case I’m confident I’m on strong ground. If you know a case that might help me – or if you need any help with a parenting case – let me know.